← Giant Map Comes to Rhode Island! Income maps of every neighborhood in the U.S. See wealth and poverty in places like New York, Los Angeles, Chicago, Philadelphia, San Francisco, Miami, and more. 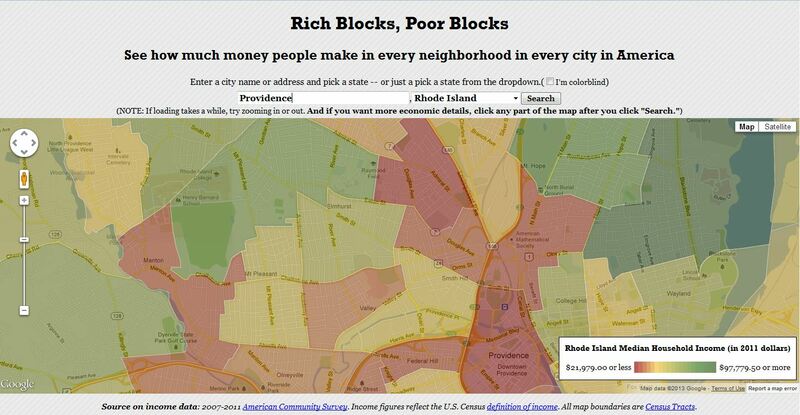 This is the most user-friendly website I’ve seen to map economic census data. This maps the average household income data on top of a Google Maps basemap that can be centered on any place in the United States. This is a great resource to share with students of just about any age. Tags: statistics, census, GIS, mapping, cartography.